*It important to note that there are many different families of Tai Chi and even more various styles. (Be cautious of anyone claiming they have the only teaching and everyone else is wrong). Our family lineage is “Imperial Yang Family Tai Chi” and is the subject of this blog. The name “Imperial” is in no way meant to imply that this, or any other tai chi is better, or the best. Our family of tai chi also shouldn’t be mistaken for Funai (Imperial) tai chi, which is a completely different lineage. With so many martial arts and disciplines out there, it is important for each individual to research and find the martial art or exercise that works best towards their own personal development. Imperial Yang Family Tai Chi was passed down from the Yang family, the creators of Yang Tai Chi. Yang Luchan (1st Generation Imperial Yang Family Tai Chi) taught it to his sons Yang Jianhou and Yang Banhou (2nd Generation). Yang Jianhou taught Yang Family Tai Chi to his sons Yang Chengfu and Yang Shaohao (3rd Generation Imperial Yang Family Tai Chi). Yang Banhou also taught his nephew Yang Shaohao. Yang Chengfu is credited with modifying the Old 6 Roads form to make it easy to practice. Tai Chi Chuan, once taught exclusively to the elite and the military, would now have an altered version for the public to learn for health reasons. This form is well known as the “Public Form” or the 108 Form of Yang Family. The Yang family had many students and disciples. One of the most famous disciples was Wang Yongquan. The Wang family were gardeners working for the Imperial Manchurians. 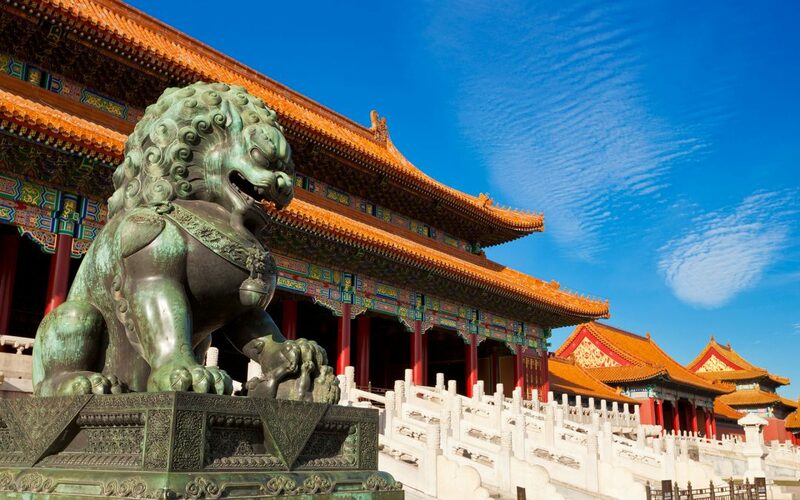 The Yang family, who taught and practiced Tai Chi inside the Forbidden City for nearly a half-century, was working for a Manchurian Prince at that time. When the Prince fell out of favor with the Emperor, all his closest employees were also sacked, including the Yang family. The Yang family after losing their position ended up living within the Wang household. As gratitude, they taught the family Tai Chi art to the Wang family. 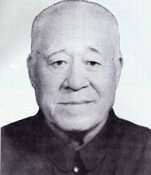 Wang Yongquan, whose nickname was Xiao Lao Hu “Little Tiger,” was very skilled at Chinese Wrestling and could fall without getting seriously injured; so the Yang Family loved to practice their techniques on him. Wang Yongquan learned from the whole Yang Family, including Yang Shao Hao and Yang Cheng Fu, but especially from Yang Jianhou. It is said that Wang Chonglu, the father of Wang Yongquan “Little Tiger,” when he spoke of Yang Jianhou would say that Yang Jianhou’s Tai Chi was was completely different from anything he had ever witnessed before and was simply the best display of martial arts he had seen. Unfortunately, father and son could not be in the same generation. So Wang Chonglu was placed under Yang Jianhou as a 3rd generation, while Wang Yongquan was placed under Yang Chengfu as 4th generation, even though they both learned mainly from Yang Jianhou. The Wang family promised the Yang family not to teach the art outside the Wang family. Wang Yongquan kept his promise until when he was very old but then realized if he didn’t teach it outside of the family, the art would be lost. So he chose to start teaching the internal dynamics towards the end of his life only. Wang Yongquan had many students and disciples. One of the most famous is his disciple Wei Shuren. 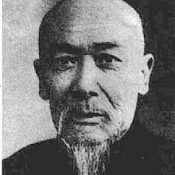 Wei Shuren was one of the last disciples of Imperial Yang Tai Chi master Wang Yongquan. Towards the end of Great Grandmaster Wang Yongquan’s life, he asked his disciple Wei Shuren (5thGeneration Yang Family Tai Chi) to make public the otherwise secret teachings of the Yang Family, for fear of the art being forever lost. Wei Shuren, a direct disciple of Wang Yongquan had received the full transmission of Imperial Yang Family Tai Chi from its source, the creator Yang Luchan, through his son Yang Jianhou and grandsons Shaohao and Chengfu. This was the Old Yang Tai Chi Form and methods of Yang Luchan as passed to his sons Banhou and Jianhou. These teachings are also known as the “Secret Transmission of Yang Jianhou”. Towards the end of Wang Yongquan’s life, he feared the secret teachings of the Yang Family would be lost and tasked his disciple Wei Shuren with revealing these secrets to the public. Grandmaster Wei Shuren then penned several books and also taped videos teaching and explaining the Old 6 Roads form of the Yang Family. It is my experience, however, that “no more secrets” does not mean that all the secrets are revealed to everyone all at the same time. The secrets reveal themselves through correct guidance and in practice. Why is it called “Imperial” Yang Tai Chi? The term “Imperial Yang Family Tai Chi” was coined by Sifu Dr. John Fung (6th Generation Lineage Holder) after Wei Shuren gave him the task of spreading the art. He asked John Fung to come up with a way to identify the art as being different from the more common and/or popular Yang styles. Since this art originated from the “Imperial Palace,” Dr. John Fung named it “Imperial Yang” and Grandmaster Wei Shuren was quite pleased with the name. 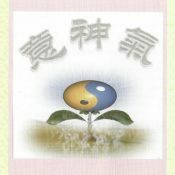 Today “Imperial Yang” is a household name, used by many of our brothers and sisters to identify this unique form of Tai Chi Chuan. Wei Shuren had many students and disciples. Two of the most famous that Wei Shuren passed the full transmission to are Wei Shuren’s daughter, Wei Xilan and Dr. John Fung (both 6th generation Imperial Yang Family Tai Chi lineage holders). Wei Sifu and Sifu John Fung both continue to teach this beautiful art today. 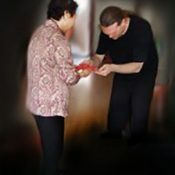 Wei Xilan teaches in Beijing, China, and Sifu John Fung teaches in Sydney, Australia. He also travels and does Imperial Yang Tai Chi workshops in North America. In May of 2014, Dr. John Fung chose Michael Paler of Colorado Springs, CO; Ray Abeyta of Alamogordo, NM; and Wolf Carter of El Paso TX. to go to Beijing, China, to learn Imperial Yang Tai Chi directly from Sifu Wei Xilan, also a (6th generation indoor disciple) and the daughter of Grandmaster Wei Shuren. It was then that she made 7th generation lineage disciples of all three men at the traditional ba shi ceremony. They are honored to be a part of this incredible family, and now teach and spread Imperial Yang Family Tai Chi, also known as “Secret Transmission of Yang Jianhou,” to everyone who wants to learn. 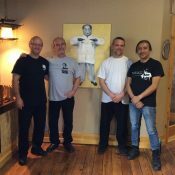 “Sifu Michael Paler, says of this art, I have literally trained my whole life for this; this is the stuff of legends… I have practiced traditional boxing and tai chi martial arts since I was just a kid, I’m so grateful for the early teachings because they all led me to this”. One of Grandmaster Wei Shuren’s last wishes that this beautiful art would “Spread Like Grass” throughout the entire world — and we all intend to make that happen. One emphasis when practicing the Old Yang form “Old 6 Roads” is on Shen, Yi, Qi. The Shen Yi Qi of Yang Tai Chi is what fills otherwise empty forms with intention, function, and purpose. *A special thank you to Sifu Dr. John Fung, and the Wei family for providing me with the above information. I knew in my heart you would honor this Lineage. Sifu Ray Abeyta/High Rolls, NM. As a student, I am constantly amazed at the wisdom that is shared. I am grateful for his teaching and equally grateful to learn about the lineage of teachings that has to lead me to this in my life. Truly transformational. Much gratitude for creating this article. Thanks for sharing the history of Liu lao lu. We are fortunate to have Lu Baochun, one of Wei Shurens topstudents living in Scandinavia.